Hamilton's award-winning ice cream makers open a brand new parlour in the heart of Ponsonby. 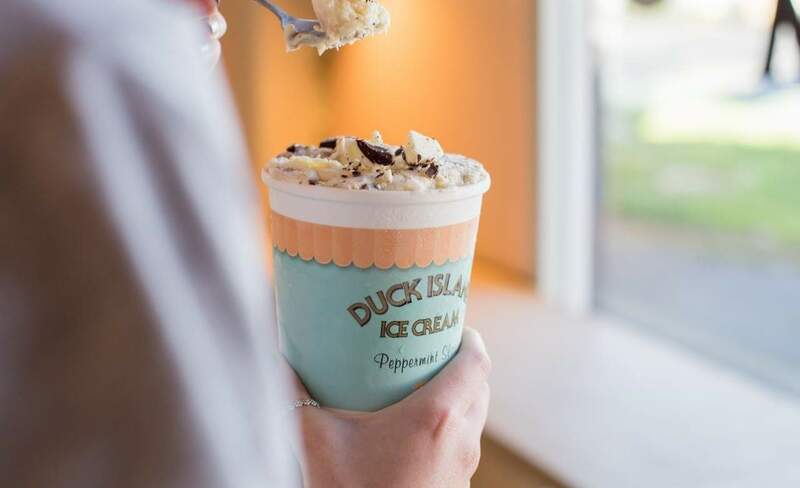 Duck Island Ice Cream is one of the best things to come out of Hamilton in recent years. The original parlour in historical Hamilton East was the brainchild of the trio behind multi-award-winning local restaurant Chim Choo Ree who have a strong reputation for using fresh seasonal produce in innovative and creative ways. This ethos remains at the heart of Duck Island and has won them a swag of Cuisine awards and most recently a brand new ice cream parlour in the heart of Ponsonby. Despite summer being almost over, Duck Island Ponsonby was packed out late on a cool Sunday afternoon, suggesting that ice cream has never been so hot. Bright blue benches evocative of a day at the beach lead the way up to the main parlour area. 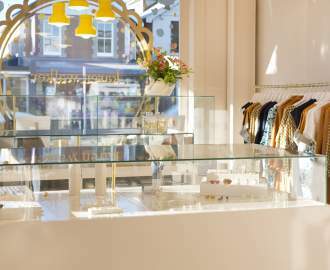 Here, aside from a few delicate vintage touches, the decor is kept elegantly minimal, while the choice of colour scheme — soothing pinks and cream — might have been selected to help alleviate some of the anxiety that comes with selecting your ice cream. The expansive chiller holds every hue in the rainbow, with each of the 24 fantastical flavour artfully announced in ink across the glass. It's easy to get lost in yourself when trying to find a flavour — are you feeling the sort of childhood nostalgia that is more fairy bread or toasted marshmallow? The sort of adventurous that is more roasted white chocolate and miso, or raspberry, coconut and coriander? Thankfully the staff are on hand to guide you through the decision-making process, armed with tasting spoons and seemingly endless patience and good humour. Between the four of us, we managed to try no less than 13 flavours, thanks to a mixture of scoop sizes and a decadent sundae for $38 What became apparent across all of the flavours sampled was the obvious ability to balance sweetness against flavour. It is easy to make a flavour such as strawberry condensed milk or salted caramel cacao crumb too sweet, but Duck Island manage to find a nuanced middle ground, the ginger bourbon pecan had the perfect amount of kick and the roasted white chocolate and miso was breathtakingly good. Non-dairy eaters are well catered for; with the salted chocolate brownie fooling us all with its richness of flavour, while the ash coconut banana was a strikingly clean way to round off. However, if you're feeling decadent look no further than one of their sundaes. We settled upon peanut butter and chocolate which, with its lashings of chocolate ganache, candied peanuts, cookie dough and milk chocolate ice cream was almost sinfully good. While it's understandable why that they are using biodegradable bowls, this reviewer cannot help but recall the beautiful vintage cut-glass bowls her last Duck Island Ice Cream was delivered in their original Hamilton East store. That, coupled with the table service was a lovely feature and it's a shame that it hasn't survived the move north. Nevertheless, whether you're after a post-dinner treat, stopover during a shopping expedition or a fun place to catch up with friends, Duck Island will most certainly fit the bill.